This show has me a bit torn. As a fan of just plain television I want this to be a police procedural that just happens to take place in Gotham. As a fan of Batman, I want this to be a prequel to the Batman stories I grew up loving. The 5th episode of season 1 falls squarely in that second category. The problem is, it doesn’t make for a compelling cop show. 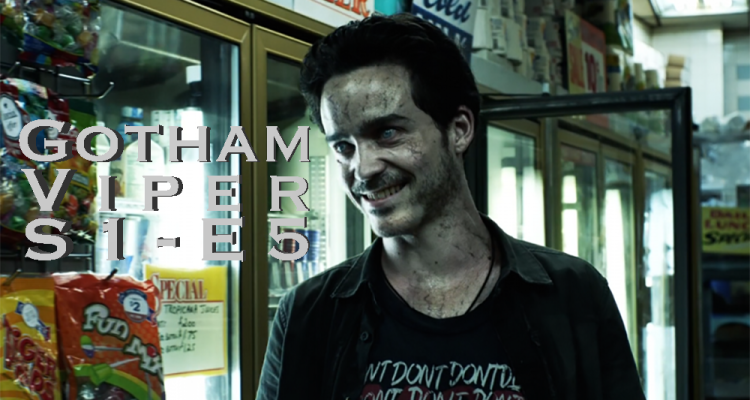 In this episode, Gotham is plagued by a new street drug called Viper. As Ed Nygma explains in the episode, the drug siphons calcium from the bones of the user to give them great strength as well as a sense of euphoria. Unfortunately for the user, the bones eventually become brittle and breakdown causing death. 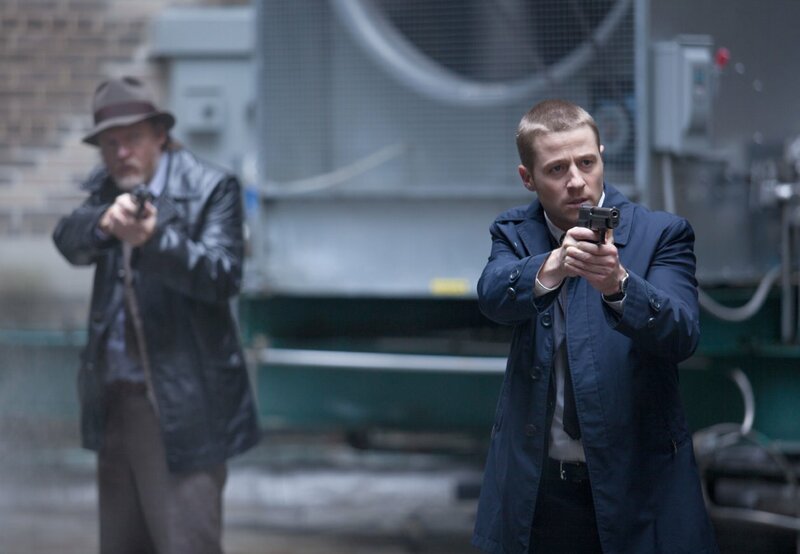 Jim Gordon and his partner Bullock are searching the streets for where this drug is coming from so they can stop it. The complexity of the drug points to a professional lab, and soon suspicions land on WellZyn (a subsidiary of Wayne Enterprises). A bit of detective work reveals the culprit, and that he is motivated by a vigilante ideology. Viper was a first round of an experimental military drug. The whole “resulting in death” thing was eventually cleared up with WellZyn’s second version of the drug named Venom (yes, like the Venom Bane uses) This makes it obvious that his next target is going to be a Wayne Enterprises charity event that Bruce Wayne is attending. 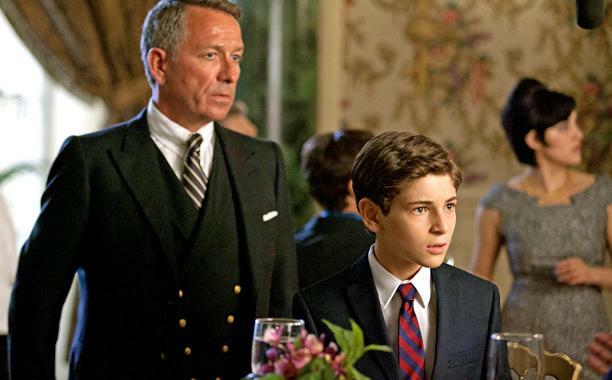 Bruce is at the event because he is curious as to Wayne Enterprises connection with the crime families of Gotham (as was revealed in last weeks episode where the crime families were fighting over the Wayne plan for the Arkham project). After seeing the video displayed by the vigilante viper distributor, Bruce is now even more convinced the crime syndicates involvement with Wayne Enterprises had something to do with his parents death. Gordon and Bullock stop the vigilante. He does give them a tip before he dies, telling them to look at warehouse 39. The tip turns out to be useless though as WellZyn cleared out Warehouse 39 before Gordon and Bullock get there. As I said in the beginning of this review, this episode didn’t focus on this viper case as much as it focused on progressing the story of Bruce Wayne’s determination to find his parents killer. 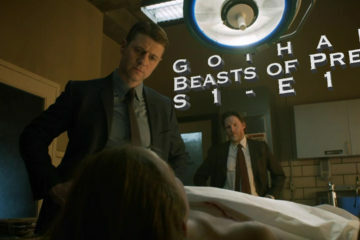 Bruce already had questions for the Wayne Enterprises board, and when he heard this episodes vigilante condemn Wayne Enterprises it furthered Bruce’s suspicions of the Board. After the encounter at the Wayne Charity event, Alfred finally has stepped up to aid Bruce in his investigations. This seemed to me to be the main point of the episode, and Gordon and Bullock’s scenes tracking down the drugs origins seemed nothing more then filler. Speaking of filler, or speaking of the overreaching story arch… A few other things happened in this episode. Penguin entrenched himself deeper into the Maroni crime family by revealing his backstory. 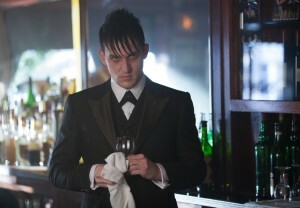 Maroni didn’t initially believe Penguin which led him to bringing Jim Gordon down to the restaurant to verify it. This was one of the better scenes in the episode. Fish Mooney does some training of her new weapon against Falcone as well as some other plotting against Falcone. At the end of the episode she finally sends her weapon out to seduce Falcone. This is still my least favorite part of the show. The Fish Mooney story arch seems useless. Selina Kyle showed up for a brief second in a scenes that was in the show to (unintentionally) lead Jim to the first Viper crime. 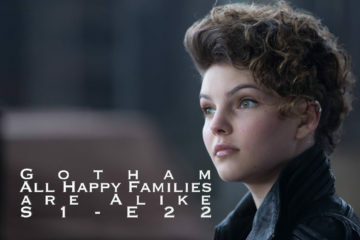 There was no real reason for this to be Selina, other then the fact that she wasn’t in last weeks episode so they probably didn’t want us to forget about her. Barbara was also absent from this episode as well as her lesbian ex girlfriend and her partner. Overall, this was an interesting episode for the overall implications in the Bruce Wayne story. But as a cop show, it wasn’t that good. This seems to be the thin line that Gotham is walking. Make a good cop show set in Gotham, or make a good backstory for Batman. Usually the episodes lead one way or the other. I guess this leads me to believe that the writer of this article at EW was never a part of the drug culture. I can attest to the fact that this scene is not “a little… illogical”. I can not count how many times I have seen someone walk up to someone else at a party and hand them a pill saying “take this”. The receiver usually replies “what is it?” to which the giver always replies “Just take it”. The majority of the time, the receiver takes it. I have never seen that situation end badly (except in TV shows).